Many companies list their values on their websites. That’s great. It gives me a benchmark to measure them by. But when I read these lists I want to know the stories behind the vision and values. Why do things like ‘quality’ and ‘integrity’ and ‘creativity’ matter to you? If you tell me why, I’m more likely to remember you and your business. It began when I heard about the British Museum’s Terracotta Warrior Exhibition. I found I had the chance to go and see it in London. Being fickle, I decided I wanted to go and see it myself in situ. So it was China’s history that prompted Willow to visit modern China and made her realise that the West had ‘very little clue’ of the exciting things going on there. I was amazed at how things looked inside. People working really hard. And for some reason I just liked the smell of the welding. You have to say it’s in my blood because everybody else hates the smell but me. And my first feeling was, “Wow! Now I know. Now I know how things are made”. I was really interested in knowing more. And now, thanks to different clients, like Sinoboom we know how things like boom lifts are made. The other thing Dennis learned was just how hard people worked in the factories he visited – a point reinforced when he joined Dahon, the world’s first and largest folding bike manufacturer. As the company’s European Sales Manager, Dennis’s job was to make sure that the quality of Dahon’s work was truly appreciated by potential clients in the West. In the factory everything is organised. It’s like playing with Lego. Each part has to be correct. If there is one thing wrong then it’s not going to be done. I just like that. Dismantling stereotypes, brand by brand. That appreciation of quality frames everything Dennis and Willow (pictured above at Tidfore) do. It’s also linked to a broader vision. As a marketing consultancy, Make It China wants to raise the profile of the very best Chinese companies – companies with integrity and world class standards. Through the brands they represent, Dennis and Willow want customers in the West to get a better understanding of ‘new’ China. These customers will learn – through the products they buy – that China has a wealth of individual brands. Experiential, hands-on learning to prove that China is not the source of a constant stream of dodgy, counterfeit goods. I want to make sure that all the good brands from China can be interpreted correctly, to let people know that things in China are not just a copy from somewhere else. These brands have their own ideas and, at the end of the day, their products will help clients in the West as well. The making of Make It China. Willow didn’t need to be told this 8 years ago. She’d been drawn back to China, realising that, in economic terms, it was the place to be. She wanted to learn more – in situ, of course. On a personal level things happened too: she met Dennis in 2010. They got married in 2011 and Willow later joined Dahon’s social media department in 2012. They then left China and moved to the UK. Willow stayed with Dahon’s social media department and Dennis became an Account Manager with one of the world’s oldest bike brands, Raleigh. It was at that point that embryonic ideas began to ‘bubble and brew’ (Willow’s words). Dahon aside, Dennis could see clearly how hard other Chinese manufacturers were working to become world-class brands. Willow could see how effective Chinese brands were at marketing the value of what they did to their domestic market. But for whatever reason – cultural, linguistic or logistical – the rest of the world wasn’t taking as much notice as it could. There is a huge market in China and Chinese companies make a lot of money from China. We see them being very successful and we see the Chinese people benefiting from, and enjoying, their products. As these brands are benefiting people in China, so they can also benefit everyone else. We can help those companies to make that connection with the West. That is really the whole ethos behind Make It China. Marketing: a means to a bigger end. Ultimately the consultancy business Dennis and Willow are building is an expression of what’s important to them. Learning new things first-hand and sharing that knowledge by connecting people from different continents. 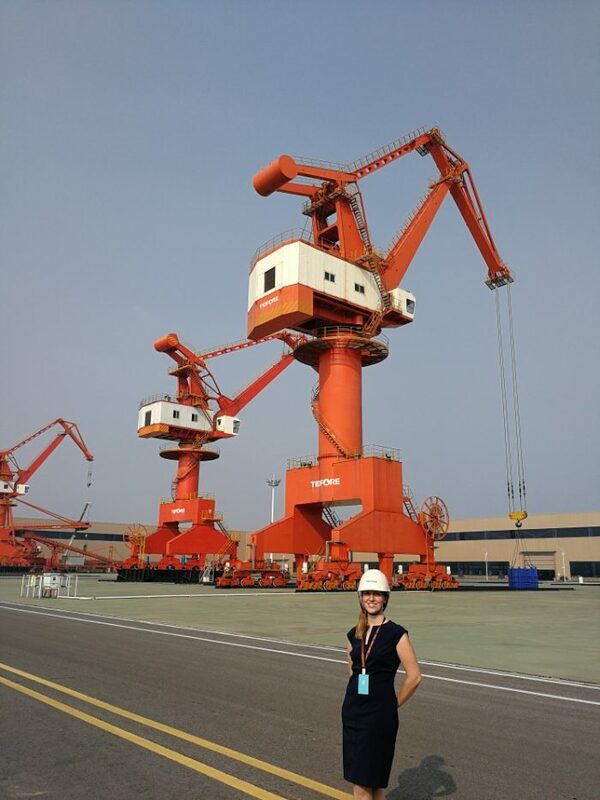 Dennis will carry on visiting new factories so he can understand the inner workings of China’s leading manufacturers – and know, first hand, that they are ‘responsible and ethical’. Willow will continue to create long-term relationships with those manufacturers, helping them reach the attention of new customers beyond China. We found an old notebook recently. We’d made a checklist on the perfect job for Dennis. There was a load of stuff, but there was the ability to work with international people globally and that is also really important to me. And with all manufacturers – in China anyway – they almost always have a whole variety of global customers. So at Dahon we were working with something like 80 different people from 30 different countries. We were regularly in communication with them, meeting up at conferences or during factory visits. It’s really enjoyable. Everyone is working towards the same goal but learning about different cultures with a different sense of humour and sharing food together… It’s a special experience when you get that melting pot together like that. I can’t help but say this, but it’s sort of moving to that Star Trek future – that utopia where we are just one massive society, working towards better technology and a better society. Of course, what we are doing in our day-to-day jobs at the end of the day is marketing and branding, but the reason why we do it is that… well, I feel we are making something that is working towards the future rather than just a consumable item. You can find out more about them, and the Make It China Association here. When I talk to business founders about their values, they don’t do it specifically to win new clients. But in talking about what matters to them, something interesting happens. As they describe why their values are important, they become so fired up that they start communicating about their business in a much more engaging way. And when they do that, they draw people in, including of course, prospects and clients. If you’re not sure what the stories are behind your vision are, drop me an email. I’m happy to be drawn in, any time! 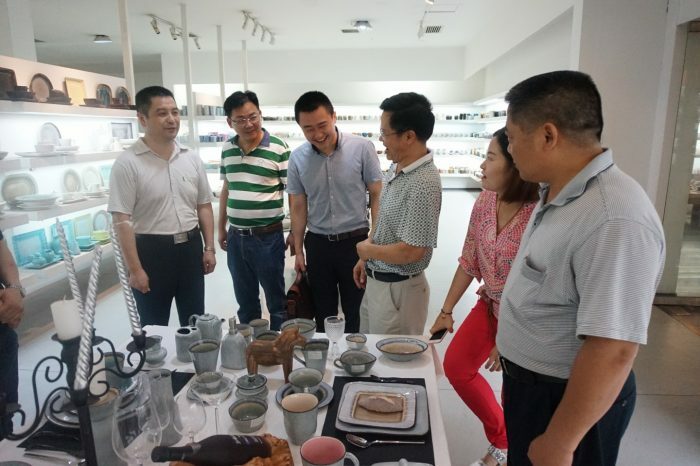 Title photo: Dennis (pictured third from left) is visiting Hua Lian, a ceramics company which supplies a number of big-name supermarkets and homeware stores.